New successful therapies are coming at an unprecedented rate. The vast majority do not require Interferon, and some do not use ribavirin either. There are extremely high cure rates being reported from trials. Consequently, these trials are enrolling very quickly and are very competitive. If you think you wish to be involved, you should email us directly or call us (323 - 954 - 0400) as soon as possible for a free consultation. Our staff has fluent speakers in Spanish, Arabic, Portuguese, Tagalog and French. Thanks to our clinical research practice we can offer you new treatment options that are not yet available in pharmacies. 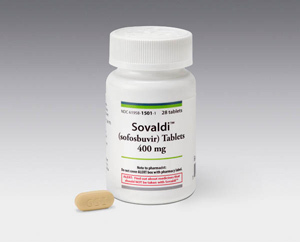 Some of these options (drug combinations) including Sofosbuvir/SOVALDI (Gilead Sciences), Simeprevir/OLYSIO (Janssen Pharmaceuticals) are now FDA approved, but they still are combined with Interferon or Ribavirin. In our novel trials we are experimenting with combinations with new agents that allow us to skip Interferon and Ribavirin. If you are wondering about the financials involved: there is no cost to the patient in a trial and we provide a stipend to assist you with travel, time and parking. You don't need medical insurance to participate. Frequently Asked Questions about our trials. More information on our dedicated hepatitis c trials website, here.